Last May 26, 2012, Energizer and One Million Lights distributed 280 solar-powered lights to Barangay Puray, Rodriguez, Rizal for the second time as part of its "Spreading Positivenergy" campaign. 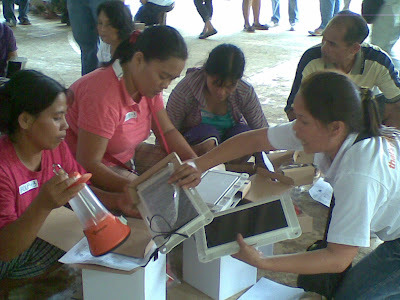 After seeing the life-changing impact of this community outreach program launch in March, where 100 solar light units were initially distributed, this tandem was resolved to bring on three times as much light to Barangay Puray this time around. The smiles on the faces of the recipients was enough to compensate for all the efforts to bring in the additional units to them. Barangay Puray is isolated by the Mascap Mountain Range, vast network of rivers and dirt roads, which makes it accessible by 4x4 vehicles only. It is home to thousands of poor families who have no access to electricity. 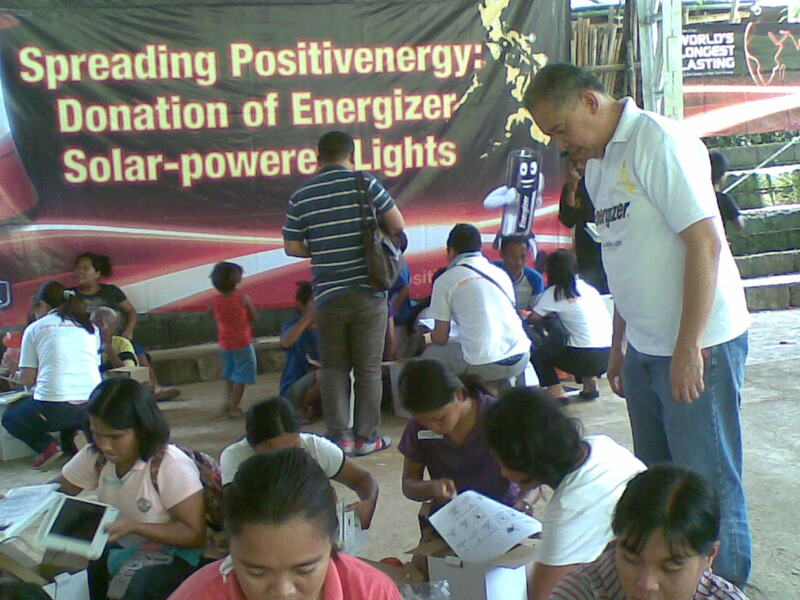 By switching to solar-powered lights, the recipients will be able to allocate 30% of their daily "kaingin" income on their children’s tuition fees rather than on kerosene lamps. Since working at night time is now a possibility, it would allow them to earn more money and alleviating themselves from poverty one step at a time. 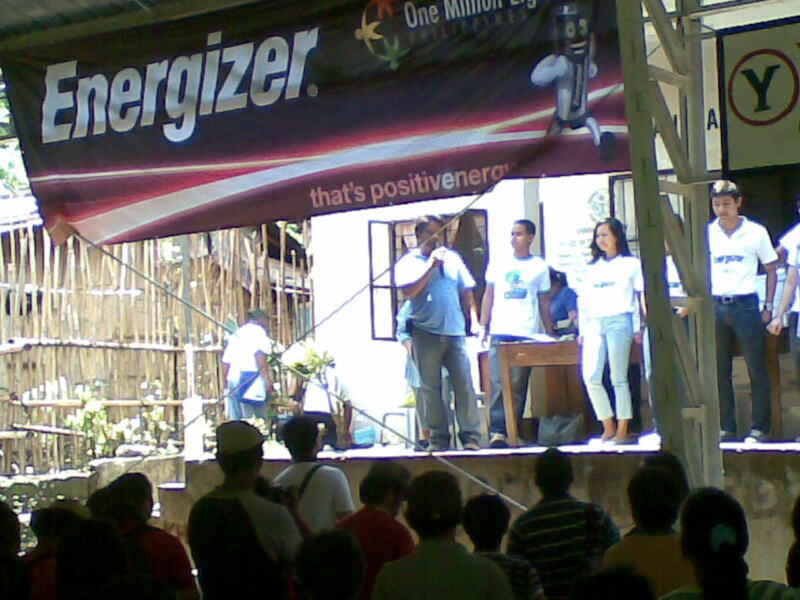 One Million Lights and Energizer are teaming up on a unique program to raise awareness for the need for safe and healthy lighting around the world. Through the Energizer Night Race for a Brighter World – a series of night races taking place across the globe – Energizer is pledging to donate 11 million hours of solar light in 2011 to communities without electricity.Energizer and One Million Lights are working together to distribute the lights in rural villages that are off the electric grid in four regions: Latin America, Ethiopia, Kenya and the Philippines. 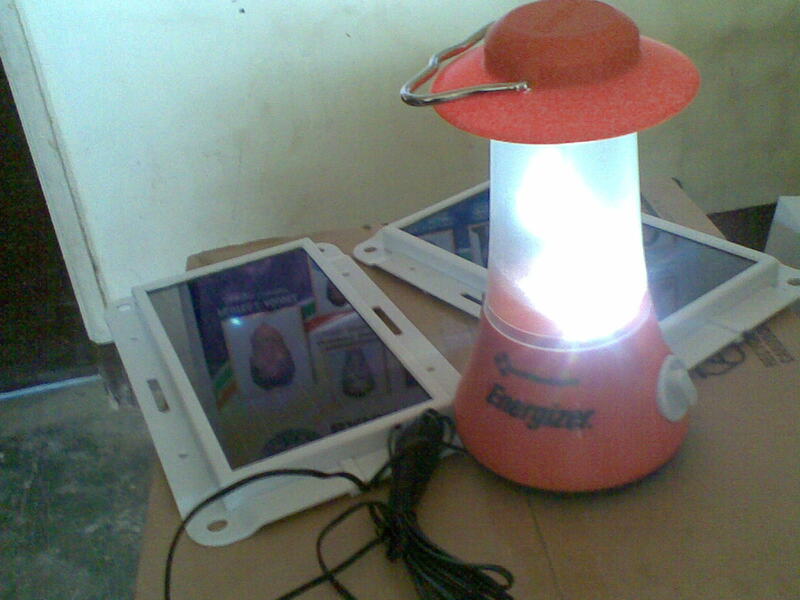 Each distribution will be overseen by a One Million Lights representative or a trusted local partner. The recipients’ need was based on existing knowledge and research of locations and communities – villages and schools. One Million Lights – Philippines has its beginnings after Mark came back from the Global Youth Leaders Conference (GYLC) in Washington, D.C. Inspired by people his age, who were already leading movements that helped the less-fortunate, he went came across One Million Lights (OML), an international non-profit organization based in Palo Alto, California. After several conference calls with the main OML Team in California, a balikbayan box filled with OML sample lights, plus documents to aid OML Philippines in its distribution efforts finally materialized. OML's dream to distribute solar lights to indigents families in Catanduanes as its first task become a worthwhile commitment. With the realization that the night may be dark in Catanduanes, but is much darker in other places, ONL and Energizer Philippines continues on. 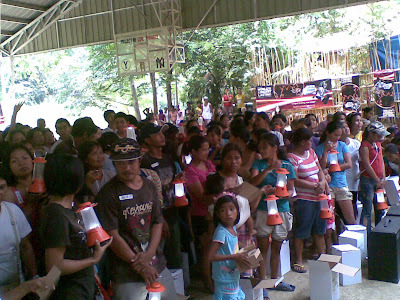 Lighting up the lives of 250 families is hardly the end; it is only the beginning. 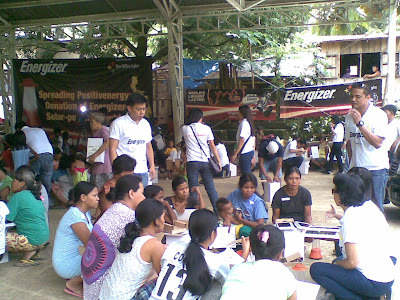 In partnership with Energizer, One Million Lights – Philippines is going to five different provinces, Mindoro, Kalinga-Apayao, Mountain Province, Eastern Samar and Rizal to distribute 2,750 lights to more isolated and impoverished rural communities. These lights are hoped to lit up the lives of more than fifteen thousand Filipinos.